CVS is a store I hit just about every week to get some good (mostly free) deals. I hear people tell me that “It's so confusing” or, the most familiar line, “I just don't have time.” So, I want to debunkify those comments and help you “play” cvs by just a few things to remember. Here are my Top 5 Tips to Playing CVS. The CVS sale is effective Sunday and lasts thru Saturday. You can find the current ad information online at CVS.com. The CVS deals are posted on Savings Lifestyle by Thursday for the upcoming Sunday sale start. CVS has a Store Loyalty Card (CVS Card). You want to use this each time you shop. If you don't have a CVS card, just request one at your first shopping trip or go to CVS' website and request a card. Be sure to register you card online so you will get access to money-saving coupons (more on that in a second). CVS pays you to shop with offering you Extra Care Bucks (ECB's) on weekly deals. There are also Monthly ECB Offers (a book with monthly offers and Clipfree coupons can be found near the register). When you make a purchase for an item that is offering ECB's, you will see the ECB print at the bottom of your receipt as soon as you have met the requirements for the offer. ECB's work just like a coupon the only caveat is that you must purchase an item for each ECB you choose to use. If you purchased two bags of chips and used three ECB's, the register will beep since you only had two items. You can also use real manufacturer's (MFG) coupons with ECB's to reduce you out-of-pocket (OOP) expense. ECB's expire just like MFG coupons so use 'em or lose 'em! CVS has money-saving coupons (or CVS $ off $$ Coupons) they email customers (see #1 – Register That Card) that you can also use to further reduce your OOP in addition to using your ECB's and MFG coupons. These also have expiration dates. In order to maximize your savings (and to avoid annoying beeps at the register), use your coupons in this order, I call it the CVS Coupon Submission Order: CVS $ off $$ Coupons, MFG coupons, ECB's. If you know your total before you go to CVS, you can use this order: CVS $ off $$ coupons, ECB's, MFG coupons. This order helps to pay for some of the sales tax – but even with my high analytical style, I haven't minded to pay pennies for getting $50 worth of stuff! You don't have to purchase all of the ECB items in one transaction! You can make several transactions in a row in order to roll your ECB's instantly and lessen your OOP. Just purchase the ECB items within that weekly sale (or monthly ECB book) in order to get the ECB to print. For example, there was an ECB offer for Buy $25 in Baby Products, get a $10 ECB. In order to use store coupons and get the maximum savings, I did three separate transactions. On my third (and final) transaction, I had fulfilled the required $25 purchase amount and my $10 ECB printed. 1. Complete one transaction and use store coupons, MFG coupons and pay. Get your ECB's. 2. Complete another transaction use any store coupons, MFG coupons, ECB's (just earned). Get your ECB's. I personally have never had a store get upset about completing multiple transactions. Just be aware of how many people are waiting in line so you're not holding everyone else up. This is buying an item that earns ECB's and pay for that item using ECB's. That way, you will use your ECB before it expires on something that is going to be giving you another ECB. I try to do this, but I won't buy ECB qualifying items if I don't need them – one can only have so many tubes of toothpaste and bottles of shampoo! Also, you can roll/use your ECB's for the same ECB offer that you earned it for (unlike Walgreens). I certainly don't encourage purchasing stuff that you don't need because it earns you ECB's. I want us to be good stewards of our money! So, if you just gotta have the stuff that earns ECB's and don't need it – donate it or give it to a new couponer trying to build a stockpile – you can feel good about buying it and sharing it! CVS sales are generally the same in all regions. There are a few differences, but overall they are the same for Georgia or Ohio. Please always double check your ad. Another helpful hint is to remember if you pay for a $2 item with a $5 ECB you will not get change back in the form of cash or another ECB. Your ECB is used in its entirety. This makes “filler” items important. Thanks for the tutorial! I’m visiting Dallas this week and am going to try CVS. I got my card in the mail already and printed out a couple of $/$$ coupons. 2. The “buy $25 worth and get $10 off” scenarios work like a Walgreen’s rebate with similar terms, only it’s automatic once you meet that qualification, right? Rather than waiting weeks for your rebate. 3. The same scenario is based on what, the current price of the items BEFORE coupons? Regular price or sale price if they happen to be on sale? 4. Do you have to buy all 4 items if it’s a 4/$10 sale, for instance, to get the sale price? Holisann – I’ll try to answer all your questions – you’re gonna have so much fun!!! 1. Filler is meant as an item to “fill” the gap in order to be able to use the $ off $$ coupons – currently there is a $3 off $15 that can be used. So, for example if I only have $14 worth of products, but I really want to use my $3 off $15 coupon, then I’ll find a “filler” that cost $1. Or, as Lisa mentions in the comment above so you can utilize the full value of your ECB – I usually throw milk in for mine. 2. YES, they work similar to a WG rebate but they are immediate at CVS. Actually, the ECB will print as soon as purchase that $25 value worth of stuff. So, as you see I did several transactions in order to maximize all my $ off $$ coupons and then I got my ECB as soon as I fulfilled that dollar value qualification. 3. Yes, the same scenario is based on the current prices, other items I choose to include in that scenario, etc. Whatever my items/prices are in each scenario before coupons basically. I usually have the same or very similar scenarios because my goal again is to use the $ off $$ CVS coupon (which has lately been the $3 off $15). 4. No, you do not have to buy 4 items to get them at $2.50 each – that’s a great marketing ploy to make you think that. You will receive that price for only one item as long as you scan your CVS card. The only exception to this is when the ad specifically says you will only get that price when you buy a certain amount of product which I see done more at grocery stores than drugstores. Found you through Money Saving Mom — great post! Tip #4 is especially helpful to keep organized. And I had some of the same questions as Holisann, so thank you for answering hers! And good stewardship advice is great, too. Too often people will spend to use coupons and buy unneeded items that sit on a shelf unused. I have found, though, that if I can get a lot of toothpaste greatly reduced, or free — I have not had a problem finding someone that needs it! But you’re right — don’t spend money if you really can’t use it or can’t give it away! I am just learning the ropes of cvs and walgreens, thank you so much for your site I am learning alot. I do have a question about cvs ecb’s can those be rolled? For example if I buy 10.00 in candy and get a five Dollar ecb can I turn around and buy 10.00 in candy use my five dollar Ecb and recieve another five dollar, I know this can not be done at walgreens on the RR. Thank you so much for your help. Since that candy ECB is a limit of 5 (the week of June 15), the answer is YES. You can buy $10 worth and get the $5 ECB and immediately purchase a 2nd $10 amount and pay with your $5 ECB and get another $5 ECB. You can do this a total of 5 times as that is the limit. The ECB’s are different in this respect since you can pay for the ECB you just received on the same ECB earning item. hi I have a question I have bought loads of j&j baby qualifing items (2 transactons ) and used 1.00 coupons and a coupon for wipes I had 1600 worth of items today used 4 coupons and I still did not make my 13.00 that I needed to qualify for the 25 in baby prducts. my reciept says I have 4.00 to go what gives. Hi Anonymous – on the J&J Deal for the week (August 10), as long as you purchase $25 in products pre-coupons and pre-tax, your ECB should print. My guess is that if you think you got the $25 worth, but your receipt still says "$4 remaining" maybe you got a different product that wasn't included in the promotion. I would check with your manager too as to why it didn't print if you got the $25 worth. Do you have a copy of CVS coupon policy. Our local CVS won’t accept our other store coupons. I was hoping to get it on paper to show them. I could get some great deals if I could use my other store’s coupons. Any help you can provide would be great!!! @Andrea – there is a sign in the front of our store that clearly states will accept all competitor pharmacy coupons. And, I know a manager at CVS and he says it’s the corporate policy. So, you may want to call the 800# and ask them what their policy is and they could share that with the manager of your store. Hi I have recently found this site. I am trying to do what ever I can to save us money. I am learning lots from this site!! Thanks. One question..can I get coupons from previous weeks/mths? for example out of ss or rp? Veronica – well, you’ve come to the right spot to save yourself money!!! 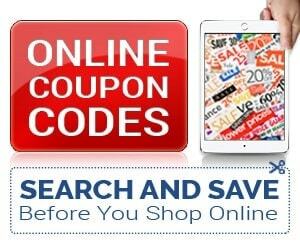 The best place to get the coupons from previous weeks/month coupon inserts are to make a purchase from either coupon clipping services or through Ebay. I did a post on that below. It will help explain it in greater detail! I’m new to CVS shopping and have a few questions that I can’t seem to find the answer to anywhere, so I’m hoping you can help! 1. If I have a $4 off $20 coupon and am buying something that is buy one get one free, will both items count toward reaching the $20? Can I use a MC for each of them or just for one of them? That makes me think I need to start all over getting to $20.00. Is that right? There it’s clear that b/c the limit of the ECB deal is 2, I can use the $2 I went over last time toward another $10 spent to earn 5 ECB. Can you shed any light on this? Thank you!! 1. On B1G1 FREE sales, the register discounts the FREE item immediately meaning it doesn’t go towards your $20 amount you must reach to use that coupon. You CAN use a manufacturer coupon for each item though. 2. No, you do NOT need to start over again. Honestly, that receipt is confusing BUT I think it’s showing you that you just need $20 to earn the ECB reward. Since you have $27 towards it total, you only need to purchase $13 more (to reach the $20 needed to earn the reward). Hopefully you got your $10 ECB already since you purchased $20 in that transaction. But, rest assured, you do NOT need to start over again accumulating the $20 for the offer. You just need to purchase $13 more in applicable products to get the other $10 ECB. 3. Same with the Swiffer deal. Just spend $8 more in applicable products and get the ECB for it. That one is more clear as you said. For these ECB Offers “Spend X get X ECB’s” with multiple limits, your total purchase in each transaction is always saved so you can purchase the remaining $$ amount and another ECB will print. Hi! Thanks for the Wonderfull Tips, I definetly put these to Use. This week (7/5-7/11) At CVS they have Schick Razor on sale BOGO, I have a BOGO coupon, can I use these together to get them for free?? If so I also have a $1 off coupon for Schick razors, can I use this also with the Bogo Coupon? Marilyn, YES you can use a BOGO coupon on a BOGO sale and get both items FREE. Some also have used a BOGO coupon PLUS a $1 coupon to get both FREE plus another $1 as well. HTH! I was wondering something similar. There is a coupon in the 10/14 ad that is BIC BOBO but in the small print it only says I can use one per transaction. Will I still be able to get both free or no? First off, I really enjoy your site. There is so much information but it is easy to follow. Second, I’m pretty new to the CVS ECBs, just learning all the terms and abbreviations have been a feat in itself, but here’s one I seemed to have overlooked. “Clipfree Coupons”. So…..I would think I don’t have to “clip” these, so how do you apply the savings? Do we have to “load” them on our CVS card or is it just another clever way of saying something is on sale? I have a question. I read your tips but am still a little confused. Should I use my ECB’s before my mfg coupons? Brend, you will want to use any store specific printable coupons (like ones you actually receive from email or the newspaper, etc). Then, use your manufacturer coupons then your ECB’s. Always use ECB’s last that way you ensure you use the full value (if you plan to the penny). You don’t get cash back so you want to make sure you use the entire value. I thought the coupons that came in the mail ARE manufacturer coupons??? What are the difference? I know what the ECB’s are. Sarah, the ones you receive on Sunday ARE manufacturer coupons. However, sometimes the drugstores will also offer store-only coupons in the Sunday inserts too. And, of course they usually mail out store coupons to cardholders as well. You can also get the store coupons at the register and the red coupon box in-store. HTH! Has the coupon policy at CVS changed? I was just there and I had a coupon for buying one product and getting another product for free. I had a manufacturers coupon on both the items (the purchase one and the free one). The cashier said that I was not able to use the manufacturers coupon on the free one because I was not really buying it. This is the first time this has ever happened but it seemed like something came up on the register and the register would not take the coupon. Diane, I haven’t had that happen to me. You have always been able to use a coupon for each product regardless of the B1G1 FREE sale. I’m guessing your manager decided to interpret the policy with his own discretion. It was not a buy one get one free sale. It was a BOGO free coupon from the manufacturer, would that make the difference? By the way, thank you so much for your website. I just started my coupon efforts in November of 2009 and I have saved so much money in just the last 2 months!!! I have a family of 10 (8 children ages 10months -16yrs) and every bit helps and this helps in a BIG way!!! Yes, I just figured that out the other day…. I know, right??!! It’s really sweet when you have a CVS $ off $ store coupon to use too. That’s when splitting up larger orders is better for us on those orders that require $X dollars to get the ECB. Do the transaction as many times as you need and on the last time when you’ve met the requirement for that ECB offer, your ECB will print! Walgreens still has CVS beat though, because you can do the ECB’s (they call it Register Rewards) multiple times; CVS has a limit like 1 or 2 per CVS card. Since Walgreens has no cards, they have no idea how many times you go into their store to get their deals. I like their system so much better, and it seems a lot less confusing. Their newspaper ad is nicer too. You did mention the drawback of not being able to use the register rewards on the product you got the register reward for. That is true; however, just get a rotation system going on other register reward items, and you won’t have the problem. I LOVE WALGREENS!!! (2) Products total = 15.74. Minus your B1G1 coupon (reduces the 50% off product of $5.25) = $10.49. WOW! 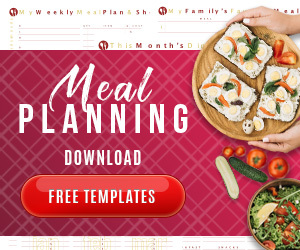 I just linked/connected to your site thru $5 Dinners blog/email. Wish I had known about your site before I started trying to figure out CVS. You’re making it crystal clear or should I say clearer. I’m retired and learning how to s-t-r-e-t-c-h my dollars. I totally agree w/you about being good stewards of our money esp in these economical times. Thank you. Welcome, Beatrice! Let us know if you have any questions as you click around! CVS is doing that whole “Spend $15 get $5 ECB” on Garnier products next week, but I was wondering where coupons play into that. If I get $15 worth of products but then use coupons that lower that price to, say, $10.. will I still get the $5 ECB because of the total before the coupons? Or do I have to actually SPEND $15 after coupons? Neta, the ECB deals are always on the pre-coupon total. So, get enough products that total up to $15. Use your coupons to reduce the total and spend even less. That’s the beauty in the rewards programs! Neta, yeap – it’s all pre-ECB total. So, you should use your $3/$15 coupon before you use any manufacturer’s coupons. Then your manufacturer coupons then any other ECB’s. Quick Question.. Did you post about CVS changing their coupon policy on using additional coupons with B1G1 coupons? Not sure if I just missed that on your site somewhere. I tried to buy something yesterday and i would only take either the B1G1 or the $1 off… not both any longer. The manager stated that CVS had recently changed their coupon policy to where the registers will not allow you to do that any longer. They will only allow a store coupon and a manufacturer coupon. I’ll get in touch with Customer Service and check to see if there was an update. I’ll let you know! I’m sure you’ve answered this question before, but I can’t seem to find the answer. Does CVS work like Walgreens with only allowing you to use one coupon per item purchased? For example CVS has diapers pretty cheap this week and I have ECB’s in addition to manufacture and a CVS $5 off $30 purchase I’d like to use. Now I know that at Walgreens if I use a manufacturer coupon and want to use a RR I have to get a filler item. So I was just wondering if CVS is the same way? Thanks for all your help! Angie, CVS doesn’t have the coupon:product ratio issue like Walgreens. You should be good to use all of those coupons! Just make sure you present the $5/$30 CVS coupon FIRST then the other coupons. If you happened to use your other coupons first and your total goes below $30, the register wouldn’t take that $5/$30 coupon! HTH! I too LOVE your site! I’ve recommended it to many :) My question about CVS is this: I’m in Texas because of an accident my mom had. My husband and children are in Michigan. I’ll be here for over a month. My wonderful husband doesn’t have a clue as to spending wisely or couponing! How can I order items online using manufacturer’s coupons and send the stuff to him? Can this even be done? I’m so thankful for your site. I’ve saved a bundle! Charli, have you used soap.com? They have online coupons you can use for your purchase. It’s not better than going to the store yourself but at least it’s a discount. Usually shipping is free if you spend $25. I’d also consider getting a few groupons when you see them for meat or other online stores. There was a deal a while ago for meat that I personally picked up. That could be a great way for the protein while you’re away and it’s shipped right to them. HTH! I was at CVS yesterday and was checked out by an assistant manager. He refused to use my $5 off $25 CVS coupon as well as another store coupon that I had first. He wanted all manufacturer coupons first. Now, it worked out okay this trip beacause I had spent enough, but has anyone else had this problem lately? The coupon policy states, “CVS Pharmacy reserves the right to process coupons in any order.” I have never had a problem in the past. The more I think about this, the angrier I become! I am continuing to have difficulty posting on the week ad match-ups…is anyone else having this problem. I know the week is almost over, but CVS has Duracell 20 packs of AA batteries for $9.99 with $2 ECB back. The sign says the “packs of 16AA” but there were no 16 packs there. The 20 packs rang up at the 9.99 and I got the $2 ECB back. The 20 packs at our store also have coupons in the coupons in them for $1 off any Duracell 6 pack or larger. I had this coupon from the previous time I purchased batteries, so I was able to use it on this purchase and paid $8.99 out of pocket and got the $2 ECB. Now I have an additional one if I want to purchase more in the future! So strange…it lets me post here, but not on the weekly match-up pages. Seriously, is anyone else having this problem or is it only me? I did notice that there were no comments for this week’s match-up so maybe I am not the only one??? There are also Monthly ECB Offers (a book with monthly offers and Clipfree coupons can be found near the register). What is this about ? the book / clipfree. I never heard or seen anything of this sort. I am out of the woods mostly… financially with couponing and saving, but for a while after I left my abusive husband things were tough. For those of you who have extra toothpaste, soap deoderant, pads and tampons, toilet paper, paper towels…please note that food stamps do not buy these items. For a while, I was using baking soda to brush my teeth (It tastes awful) And my girls were asking for extra tampons from the school nurse. Please buy these items when you can get them for free or cheap and donate them to your local women’s shelter or any shelter for that matter…. Having been there, I always try to donate these items when I can and everyone there is so appreciative. So don’t worry about filling the cart up with these items. You are doing a good thing. Just got back from a clearance and sale run at CVS: 3 bottles of 9oz Gain Dishwashing Liquid, 2 bottles of Pantene Shampoo 12.6oz, 1 bottle of Aussie Hair Insurance (leave in conditioner) 8oz, 6 Renuzit 7.5 oz air fresheners, 1 tube of L’Oreal Coulor Riche Lipstick 3.6g, 1 bottle of Wet ‘n Wild nail polish 12.7ml, 3 boxes of Children’s Allegra Allergy 12 count orally disintegrating tabs. This is my best CVS shop and I got some things that are normally expensive like Allegra!